Clara, our new English assistant, has already arrived. Celebrate the European Day of Languages with us! Next Friday 2nd September, the European Day of Languages will be celebrated at our school. An interesting set of activities wil be organised in order to have an approach to the many languages spoken in our continent. Speak English!, parla Italiano!, parle Français!, habla español! What is the European Day of Languages? The European Year of Languages 2001, jointly organised by the Council of Europe and the European Union, was successful in involving millions of people across 45 participating countries. Its activities celebrated linguistic diversity in Europe and promoted language learning. Encouraging lifelong language learning in and out of school, whether for study purposes, for professional needs, for purposes of mobility or for pleasure and exchanges. 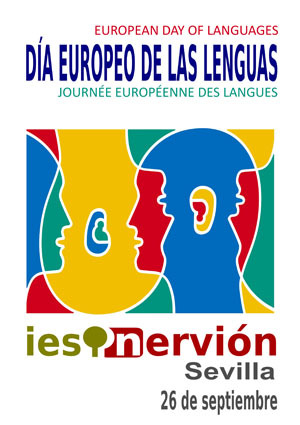 26 September 2011 marked the 10th anniversary of the European Day of Languages (EDL) celebrated at the Council of Europe and throughout its 47 member states. There have never been more opportunities to work or study in a different European country - but lack of language competence prevents many people from taking advantage of them. Globalisation and patterns of business ownership mean that citizens increasingly need foreign language skills to work effectively within their own countries. English alone is no longer enough. Europe is rich in languages - there are over 200 European languages and many more spoken by citizens whose family origin is from other continents. This is an important resource to be recognised, used and cherished. Language learning brings benefits to young and old - you are never too old to learn a language and to enjoy the opportunities it opens up. Even if you only know a few words of the language of the country that you visit (for example on holiday), this enables you to make new friends and contacts. Learning other peoples' languages is a way of helping us to understand each other better and overcome our cultural differences. Language skills are a necessity and a right for EVERYONE – that is one of the main messages of the European Day of Languages. the need for people to develop some degree of proficiency in two languages or more to be able to play their full part in democratic citizenship in Europe. … the Committee of Ministers decided to declare a European Day of Languages to be celebrated on 26th September each year. The Committee recommended that the Day be organised in a decentralised and flexible manner according to the wishes and resources of member states, which would thus enable them to better define their own approaches, and that the Council of Europe propose a common theme each year. The Committee of Ministers invites the European Union to join the Council of Europe in this initiative. It is to be hoped that the Day will be celebrated with the co-operation of all relevant partners. Durante la Segunda Evaluación el grupo bilingüe de 3º de ESO ha llevado a cabo un proyecto integrado entre la materia de Lengua Castellana y Literatura y Geografía. 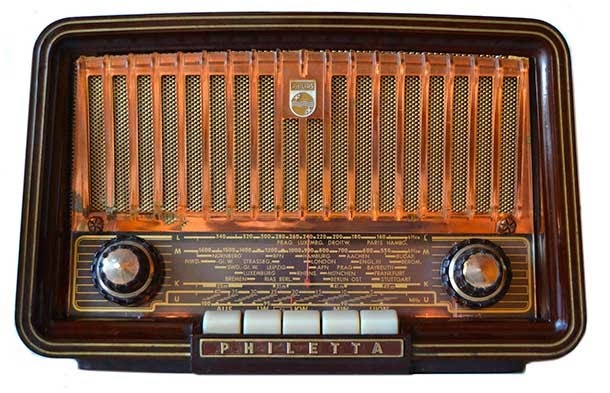 El tema era el Sector Primaria, entorno al cual, por grupos, debían realizar un reportaje radiofónico. Se han llevado a cabo los siguientes reportajes entre los que destacan La pesca en Andalucía, la Avicultura o el Cultivo de la vid. Muy interesante fue el dedicado al Azafrán. Convocatoria de una/dos becas para participar en el Instituto de Verano Benjamin Franklin 2015 en los Estados Unidos de América para jóvenes entre 16 y 18 años. En el enlace se encuentra la convocatoria de becas para el Instituto de Verano Benjamin Franklin en su edición de 2015, que permanecerá abierta hasta el Viernes, 27 de febrero de 2015 a las 18:00 horas. 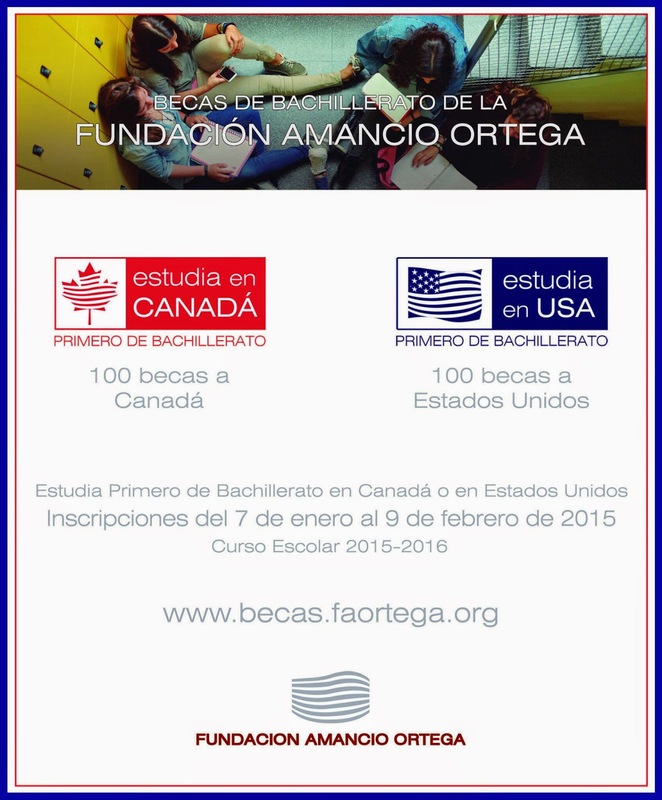 El Programa de Becas de Bachillerato de la Fundación Amancio Ortega, abre el plazo de inscripción en las convocatorias “Becas Estudia en Canadá” y “Becas Estudia en USA”, dirigidas a alumnos de 4º de ESO de centros educativos de España interesados en cursar 1º de Bachillerato en Norteamérica. El Programa ofrece 200 becas (100 para Canadá y 100 para Estados Unidos). 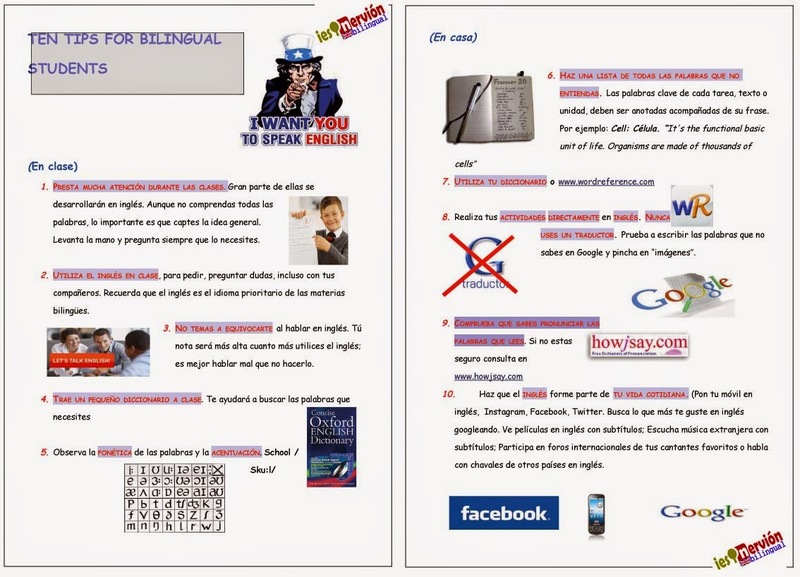 La participación en el Programa de Becas requiere haber obtenido una nota media mínima de 7,5 y una nota mínima de 8 en la asignatura de lengua inglesa en 3º de ESO. También se tendrá en cuenta como criterio de selección la renta per cápita de la unidad familiar del alumno solicitante. Las bases, la normativa y el calendario de la convocatoria están disponibles en la página web. 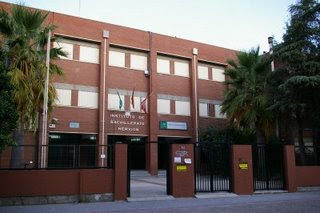 Facebook (https://www.facebook.com/becasfaortega) y Twitter (@BecasFaortega).